The best part about PC gaming is that so much of it is “backwards compatible,” to borrow the console term. Sit down at a modern PC and you can play 40-odd years of games, everything from Zork to Battlefield V. Where consoles need to trot out a miniature version of the hardware to capitalize on nostalgia, we can run the classics on any old machine. ...Wait, someone’s making a miniature “PC Classic”? Really? And it’s that ugly yellow-beige color from the ‘80s? That news, plus Telltale starts liquidating, more Command & Conquer remaster details, Crackdown 3 gets one last release date, and more. This is gaming news for November 12 to 16. Lots of free games to be had this weekend, if you’re perhaps living in the Bay Area and trapped indoors from all the smoke. Or just bored. First and foremost, Rainbow Six Siege is free-to-try for the umpteenth weekend, coinciding with the Pro League Finals. It’s still the best shooter of this generation, so if you haven’t played it yet you absolutely should. And if Rainbow Six Siege is somehow too fast-paced, you could always check out Rising Storm 2: Vietnam, Tripwire’s 60s-themed successor to Red Orchestra. Be warned, though: One weekend is probably not enough to get comfortable playing Rising Storm 2. Expect to die a lot. Finally, a conclusion to this saga. After multiple weeks of leaks, Sunset Overdrive has finally landed on PC—and for only $20, too. Sounds like it works great with a controller, not as great with mouse-and-keyboard. Hopefully that gets fixed up soon, but otherwise? Go wild. This is one of the most stressful trailers I’ve ever seen. Textorcist apparently blends bullet-hell with a typing game, a la Typing of the Dead. You have to simultaneously move your character out of harm’s way while spelling words to send out your own attacks. I’m excited to give it a shot, even if my palms already feel a bit sweaty from the video. Look for the full game in early 2019. A few weeks ago EA’s Jim Vessella mentioned the possibility of Command & Conquer remasters, timed with the series’s 25 th anniversary in 2020. Now we’ve got a few more details. EA revealed that Tiberian Dawn and Red Alert will be the first games to get the remaster treatment, and that the work’s being done by Petroglyph Games, the studio behind Grey Goo. More importantly, Petroglyph was founded by ex-Westwood employees, a.k.a. people who worked on old Command & Conquer. Sounds like a best case scenario, honestly. We covered the biggest news out of last week’s X018 event: Microsoft acquired Obsidian and InXile, a stunning double-play that should make next generation pretty damn interesting. But there were a few other trailers at the event as well, chief among them the reveal of Forza Horizon 4’s first expansion, Fortune Island. It arrives December 13, bringing lightning storms and a wrecked Viking ship from the looks of it. Oh yeah, and Crackdown 3 still exists. It even has a release date this time: February 15. I mean, unless it gets delayed again, which—you know what, I’m not going to put it past Microsoft at this point. X018 also debuted some sort of multiplayer mode, Wrecking Zone. You can catch a glimpse of that in the video below. After the success of the NES Mini and SNES Classic and the announcement of the upcoming PlayStation Classic, you knew a DOS version was coming. 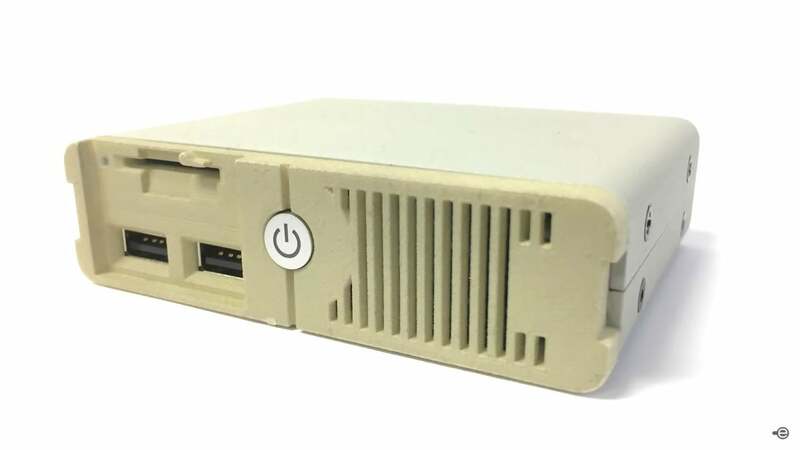 This week a company called Unit-e announced the “PC Classic,” an ugly beige box that runs DOS games from the ‘80s and ‘90s—though as this project’s crowdfunded, we’ll see whether it actually becomes reality or not. For now, there’s the announcement video below. Call of Duty’s Nuketown map is a Black Ops tradition at this point, so no surprise it’s coming to this year’s Black Ops 4. Actually it’s arguably coming to Black Ops 4 a second time, as there’s a portion of the “Blackout” battle royale map designed to resemble Nuketown already. This latest addition is a proper deathmatch map though, the same one you’ve been playing since the original Black Ops but dressed up in faux-Soviet imagery. It’s PS4-exclusive for the moment, but look for it on PC soon. This is it: The last Telltale update. Why? Because this week it seems Telltale officially shuttered whatever was left of the company to shutter. GameDaily.biz reported Wednesday that Telltale is being liquidated by one “Sherwood Partners,” a sign that the remaining 25 employee skeleton crew has probably been laid off as well. Presumably Telltale’s back catalog will be sold off to the highest bidder—maybe THQ Nordic? They’ve been on a buying spree. And in the meantime, it appears certain games will be yanked from sale. GameDaily.biz points out that Back to the Future and Tales of Monkey Island have both disappeared from Steam. We’ll keep an eye out for any further removals—but if you want any of Telltale’s games, it might be best to grab them now.